Now that Thanksgiving is over we can finally get into the Christmas Spirit. On Black Friday is when we put up our tree and get into all the Holiday spirit with music and movies. 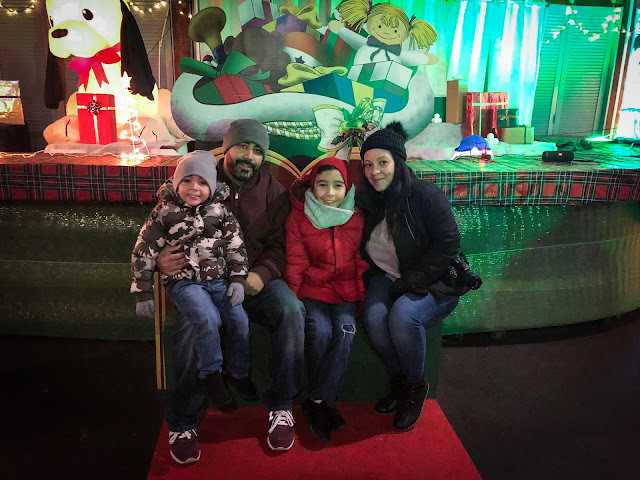 This year after putting up our tree on Black Friday we headed over to the Magic Of Lights at the PNC Bank Arts Center in Holmdel, NJ. 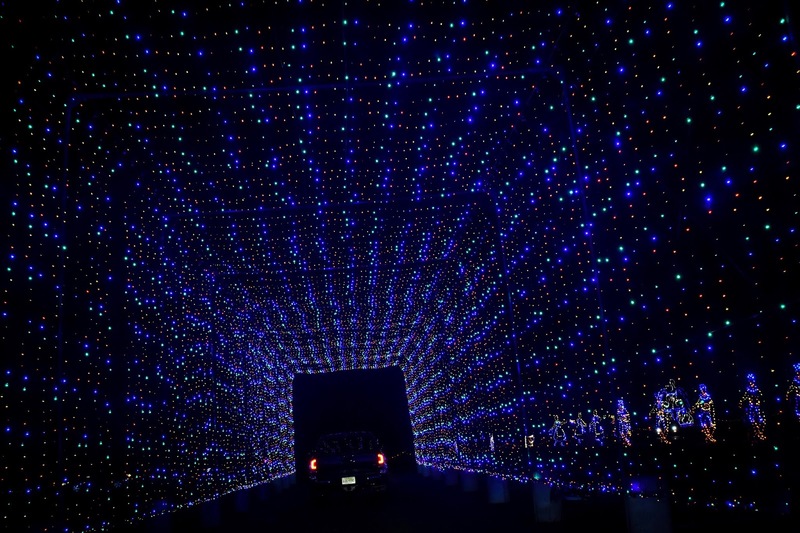 The Magic of Lights is a Family Holiday drive thru of light displays. 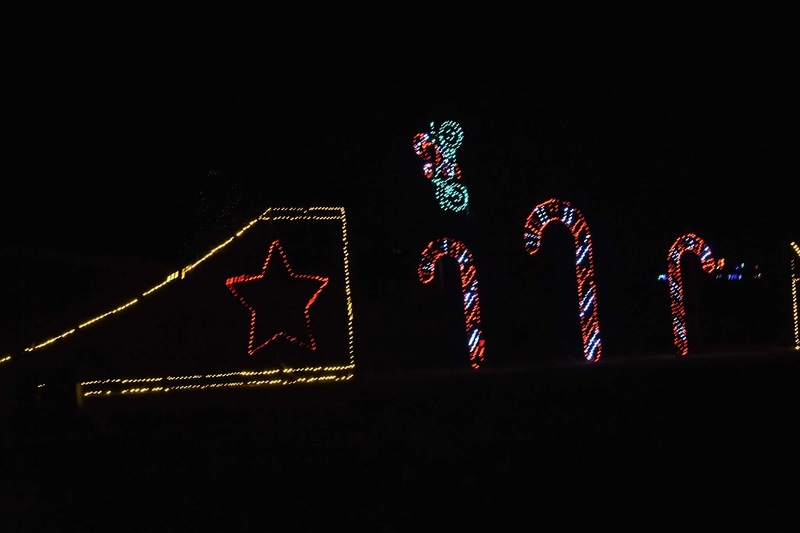 It features over a mile long of festive and vibrant displays. Bringing all the Christmas Magic to you while sitting in the comfort of your own car. We were not sure what to expect as this was our first time attending. 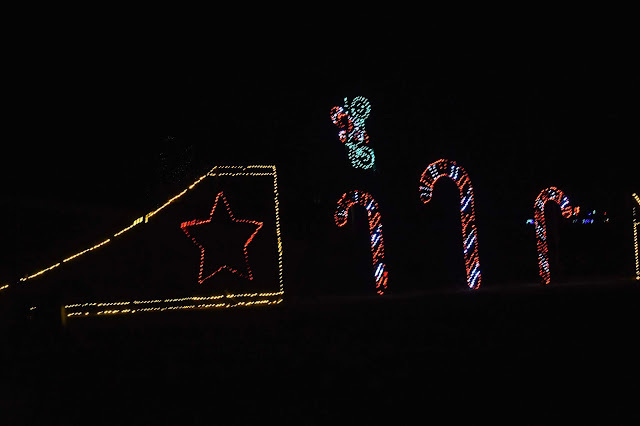 As soon as we arrived the kids were so excited with all the different light displays and immediately were shouting which ones were their favorites. Tuning into the radio station they recommended we were able to sing along to all the holiday music while driving thru and it definitely felt like straight out of a Christmas movie. 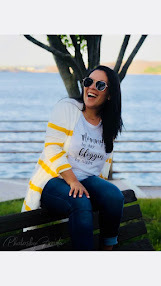 When we reached the half way point we were able to park and walk into the Holiday Village where they had Hot Chocolate & Snacks for purchase, Photos with Santa, S'mores pit, Holiday Movies & on select dates a Petting Zoo. 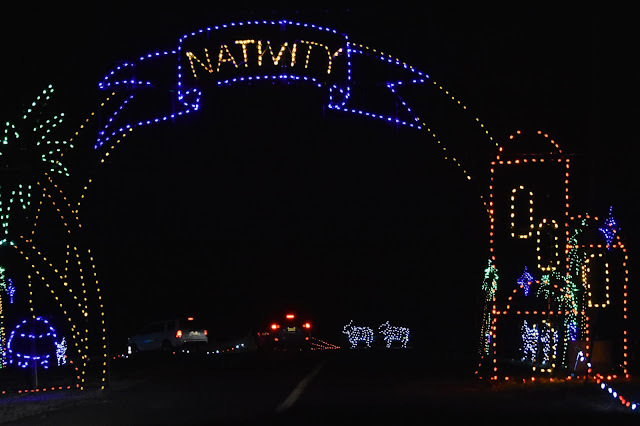 If your not interested in stopping into the Holiday Village you can continue with the drive thru its all up to you. We had so much fun looking at all the different light displays and the kids loved it. It really kicked off the Holiday Spirit for us. You can check out all the different prices HERE. Prices vary on time of the week and size of vehicle. You can purchase online or you can purchase at the gate upon arrival. 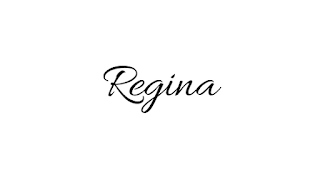 If you purchase online you can use my CODE: LIFEWITHGINA3 for a $3.00 Off discount. 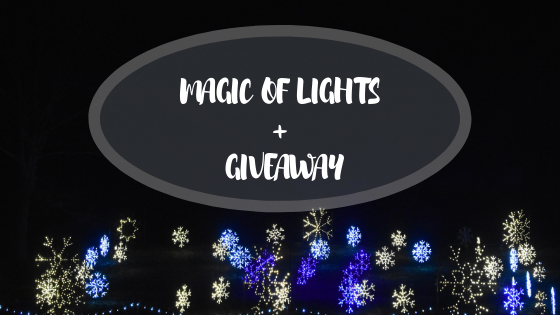 I've also partnered up with The Magic Of Lights to give one of my readers a Ticket to to the Magic of Lights Drive Thru here in NJ. So make sure you enter down below!! Hope everyone has a Magical Holiday!! We used to go all the time when I was a kid. Hoping to be able to take my kids here this holiday season!